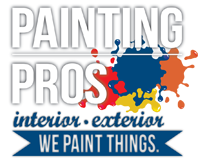 At Painting Pro’s, we pride ourselves in having the highest quality painting services, bringing this dedication and hard work to your doorstep. Custom – All our finishes are designed to the specifications of your design styles and colors. Our creative abilities and artistic talents are unsurpassed. Our eye for color and detail will bring the beauty and elegance into your home and bring satisfaction to your visual desires. Versatile – Our finishes are the perfect ambiance for your home. Unlike wallpaper, there will be no seams and years down the road, the finish can be painted over without the need for stripping. Color safe – all our finishes are applied with color safe materials and products that will not fade and will retain their true color value for years. Durability – All our finishes are applied with only top quality decorative finish products that are tough and durable. Great for clean ability and wear and tear. Non-Yellowing – All our finishes are applied with water base materials that are non-yellowing, unlike oil based finishes that yellow in the first six months and change the entire look of the finish. Environmentally Safe – All the materials we use on our projects are nontoxic and safe for the environment. They are water-based with little or no VOCs (volatile organic compounds) that pollute the air. If you desire something unusual, unique, and creative for the walls and various surfaces of your home and want to enhance the design styles of your rooms, Painting Pro’s is your answer! Let us change the look of your surroundings and help you fall in love with your home all over again!